Our Children’s Play Zone is the perfect activity to hire for children under the age of four, This inflatable game consists of an giant ball pond, mini slide, toddlers bouncing bed, and a unique floating ball area. 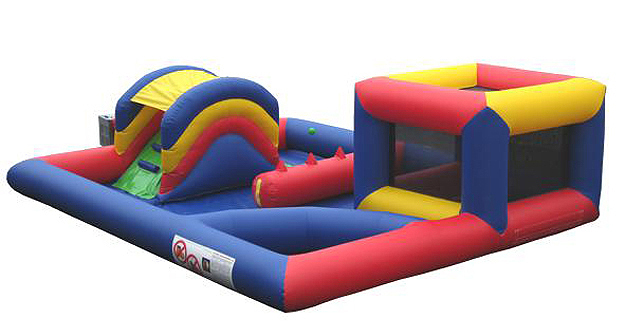 The Inflatable Play Zone is the perfect activity for lots of events including family fun days. Floating air balls – This is great for the children to enjoy, there will be lots of giggles as they play with the air and try to catch the floating balls! Slide – This is a great little slide perfect for those little legs to enjoy! Ball Pond – All little ones love a ball pond, keep them entertained for hours! Toddlers bouncer – A great little bouncing area for toddlers to experience their first bounce! This is a small bouncing area just for the little ones.